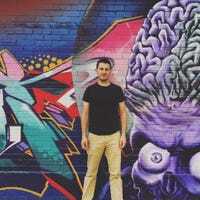 Adam Kovac is a freelance writer based in Montreal. He has written for, among others, Deadspin, Gawker, USA Today, Maisonneuve. He is an exceptionally polite Canadian. When The Tragically Hip vocalist Gord Downie announced in May that he had been diagnosed with terminal brain cancer, the news hit Canada like the ice storm of 1998.